Are you a business owner who loves golf and networking? 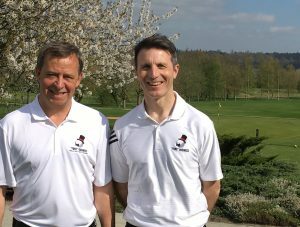 The ‘FORE’ Business network in Maidenhead is for business owners to combine their love of golf with business networking. We meet on the last Friday of the month at 7:30am at Winterhill Golf Club in Maidenhead. As the ambassador for the group I'd love to hear from you if you are interested in finding out more. The networking group has been a great help to me both in growing my business network and has given me the time I need away from the business to think strategically and share ideas with a great group of people. I have launched the Maidenhead group to help other local businesses to grow too. Find out more about the group.